Got Rocks Stretch Bracelet is big on glamour! 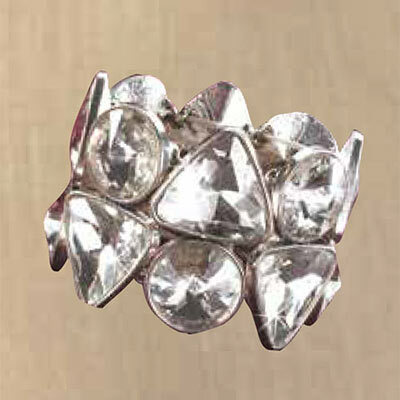 Super-sized circles and triangles of clear, faceted crystal gather along a stretch band. 2"w; one size fits most. Hurry! Quantities are limited!